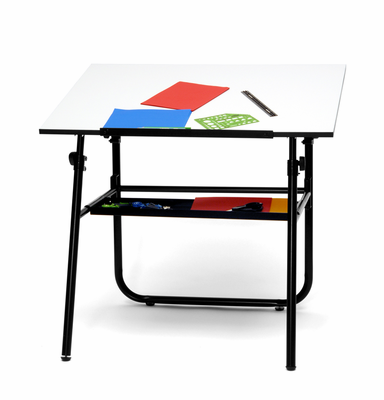 For a place to create masterpieces at any time of the day, no matter where you are, check out the Studio Designs Ultima Fold-A-Way Table. 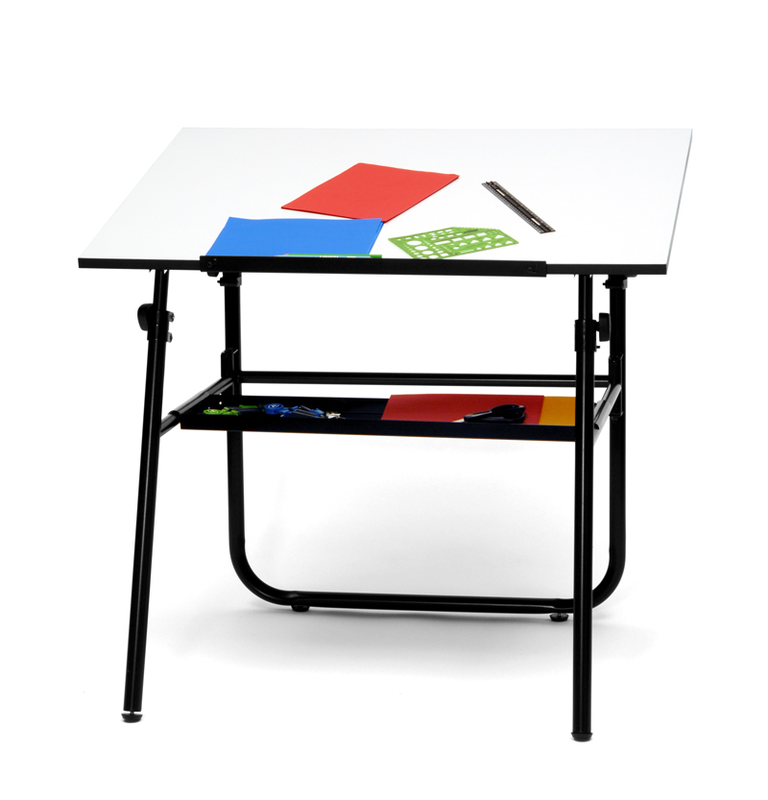 For a place to create masterpieces at any time of the day, no matter where you are, check out the Studio Designs Ultima Fold-A-Way Table. This table folds flat for easy storage in the car, under the bed, or in a closet. It has a pencil edge slide-up, a strong powder coat finish that covers the base, and floor levelers that are great for stability. The height for this table goes as high as 46 1/2" and can be tilted to an angle of 300. The colors are white or black when you're assembling the table for your room. Its surface space is large enough for one project or multiple projects at time. It can hold a handy tray underneath to keep your tools easily organized and accessible at all times. This table is great for any artist of any caliber, from beginners to experts. The height is adjustable. Oversized shipping cost: $55.95.